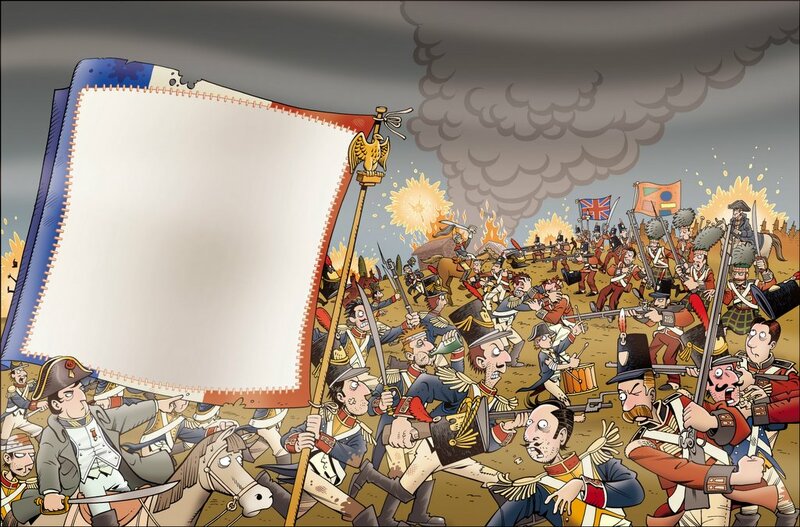 For a good long while, I was doing illustrations for a magazine called Horrible Histories, an educational rag based on the bestselling line of children's books. The remit was to bury your own style in favour of that of the books' illustrator, Martin Brown, which wasn't as much fun as it sounds a lot of the time. 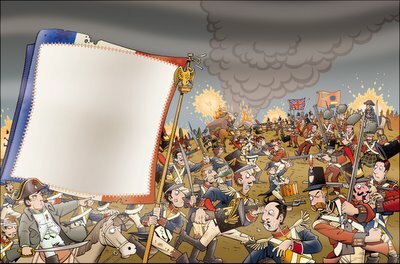 Anyway, here's the Battle of Waterloo a la Brown.